One of the most recognizable sports cars tearing up the road today is the Nissan GT-R. Its unmistakable look and incredible performance features truly set it apart from the pack. That is why our team of sports car experts here at Gregoris Nissan located right in Valley Stream are so excited to announce the arrival of the all new 2019 model! This model is able to kick out an incredible 600 horsepower making it incredibly fun to drive whether you're just commuting to work or going out for a Sunday joy ride. Additionally, this car features 481 lb.-ft. of torque allowing you to feel the incredible acceleration at your fingertips. 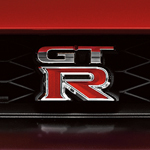 Finally, drivers will love the all wheel drive system in the GT-R. This gives drivers tons of control and will allow you to take on curves in the road easier than ever before. This sports car is truly something to behold for car enthusiasts.